When will be Confessions of a Junior Doctor next episode air date? Is Confessions of a Junior Doctor renewed or cancelled? Where to countdown Confessions of a Junior Doctor air dates? 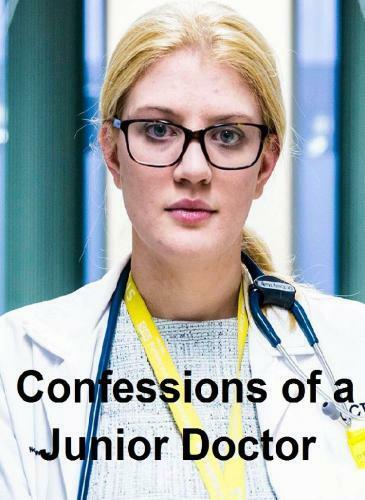 Is Confessions of a Junior Doctor worth watching? Filmed over four months in one general hospital, Confessions of a Junior Doctor follows the lives of young doctors trying to cope with the pressures of the profession at a critical time for our health service.Northampton General Hospital could be any hospital in Britain. Hard-working staff serve a local population that is increasing, but the hospital has little money for more beds or more doctors. The 210 junior doctors working here range from first year recruits – fresh out of medical school – to senior registrars on the cusp of becoming consultants. All of them are trying to give the best possible care and balance work with the rest of their lives. Northampton opened its doors to the film crews to show how the hospital – and the juniors they support – are working against the odds to do the best job they can. This episode looks at Northampton General's A&E department, where unprecedented numbers of patients are putting junior doctors under increasing pressure. Morgan is only one year out of medical school and on her first ever stint in A&E. She wears her heart on her sleeve, and is understandably nervous about being thrust into the thick of a bustling emergency department. Within her first three months, the hospital - like so many A&E departments - has been pushed onto black alert as it reaches capacity and is simply unable to take in more patients. Morgan has to juggle looking after patients with taking care of herself and not letting it all overwhelm her. This episode follows the junior doctors looking after Northampton General's youngest and often most fragile patients. Working in the paediatric department brings juniors into contact with acutely sick babies, anxious parents and the unpredictability of childbirth. For those just embarking on a paediatric career, it's a wake-up call. Fahim is a third year doctor taking his first steps onto the children's wards. He has been placed on the neo-natal unit, looking after premature babies and those born with acute illness. Working weeks of night shifts in such a stressful environment takes its toll on Fahim, who begins to wonder whether he's cut out to look after such delicate and difficult patients. Neeta, on the other hand, has wanted to be a paediatrician since she was a child herself. This episode follows juniors working in the competitive world of surgery, where people often make big personal sacrifices to further their careers. James is a brand new registrar, stepping up to the most senior level of junior doctor. He is leading operations for the first time as well as managing a 24-hour on-call shift and the difficult decision of when to operate and when to let someone die. The hours are long and his commitment soon starts to affect his own health. Zeeshan is fresh out of medical school and determined to become a surgeon. His focus is impressive but the consultants are concerned that he needs to look after himself as well as his patients. Kayla is one of a handful of female juniors training to become surgeons. She has perhaps made the greatest sacrifice of all by leaving her son at home in China with her parents while she works in the UK. As he grows up, Kayla faces important choices about how to be a good mother as well as a surgeon. Confessions of a Junior Doctor next episode air date provides TVMaze for you. EpisoDate.com is your TV show guide to Countdown Confessions of a Junior Doctor Episode Air Dates and to stay in touch with Confessions of a Junior Doctor next episode Air Date and your others favorite TV Shows. Add the shows you like to a "Watchlist" and let the site take it from there.